Print Tekk Printing & Mailing is a Plaza/Midtown family owned company that has been in business since 1978. We are a full service printer with 12 employees. We are open Monday thru Friday from 8:00am to 5:00pm. Our policy is to promote from within. 2. 1 week of paid vacation after first year then 2 weeks of paid vacation every following year. 6. Use of Condo in summer months located in Winter Park Colorado after 2 years of working at Print Tekk Printing & Mailing all that is required of employee to pay is clean up fee. If you are interested in this position please call 816-931-4122 and talk with Lynn or Maggie about the position and making arrangements to fill out an application. 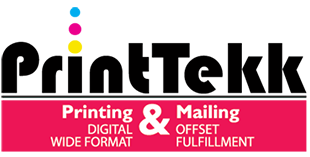 Printing Tekk Printing and Mailing is looking for an experienced energized sales person for a progressive, expanding family owned, quick turn, midtown print shop in business since 1978. Basic computer knowledge if required for this position along with Knowledge of 1 to 4 color offset process and bindery helpful. Look at our equipment list to see if our capabilities are a good match for your experience, capabilities, and knowledge of the printing industry. The hours for this position are from 8:00am to 5:00pm Monday thru Friday. Base salary and commission.